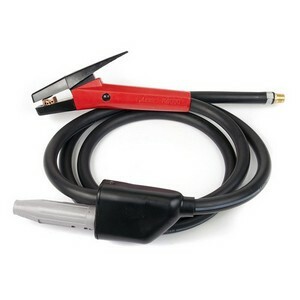 Air carbon arc gouging sets on the hire fleet consist of the power source (welder) and the air arc torch and air lines, in addition to this a compressor is also required and are available for hire. Air carbon arc gouging sets are used as a fast way of cutting through metals and also cutting out weld fillets. The carbon rods in the air arc torch turn the metal molten and then the air provided from the compressor blows the metal away. 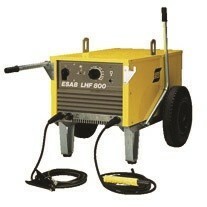 Though air arc can be considered noisy and messy (please see video) it is the fastest method for cutting metals.